A full to part sunny spot is welcome. 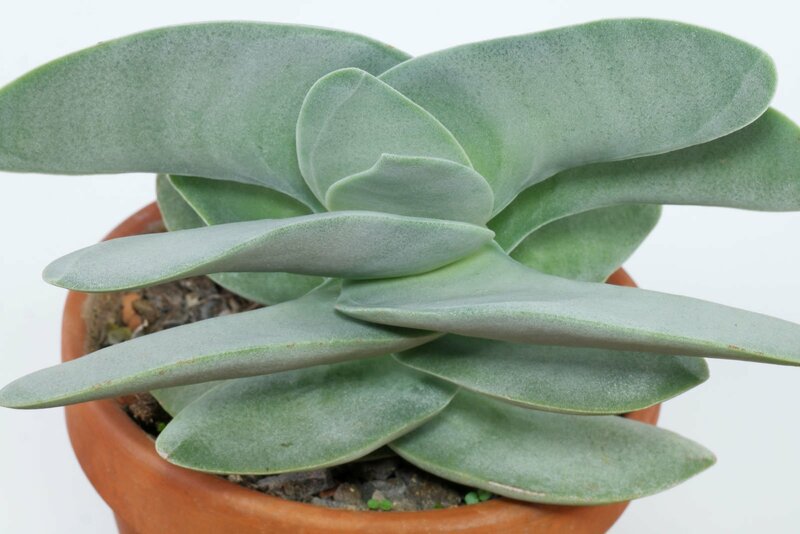 The Propeller Plant likes a minimum of 3 hours direct sunlight per day. 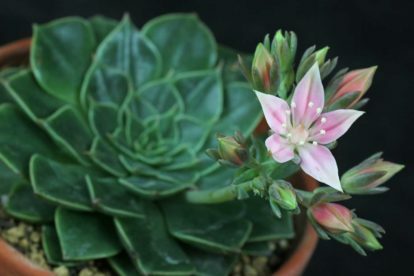 During summer it can be placed outside. There it has to be slowly accustomed to the sun, which is no longer filtered through a window. 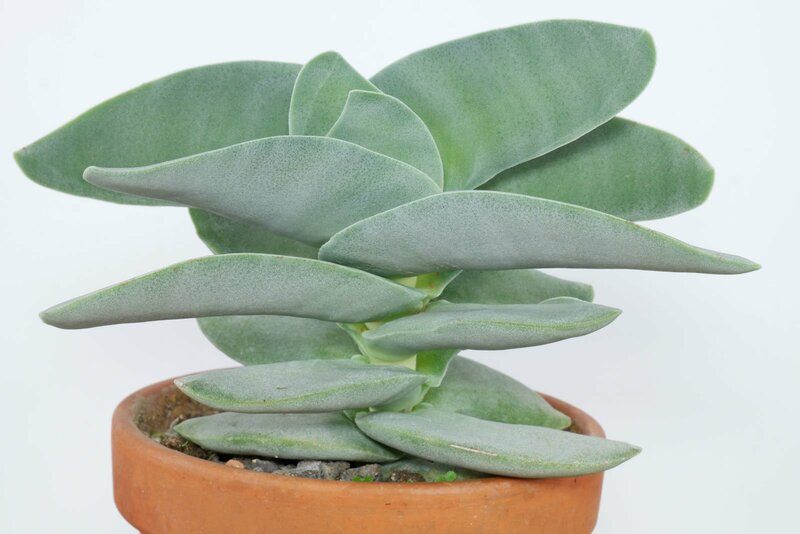 Crassula falcata is commonly known as Propeller Plant or Airplaine Plant. 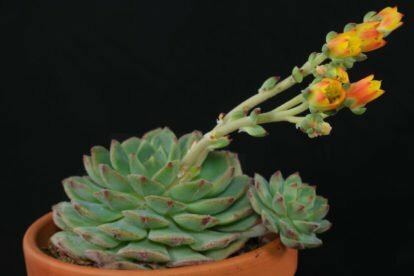 Allow the soil dry or nearly dry between the waterings. Water sparingly if placed cool to temperate during winter. If the Propeller Plant ist placed outside please make sure that rain water can run out of the pot’s hole. Wet legs can cause root rot. 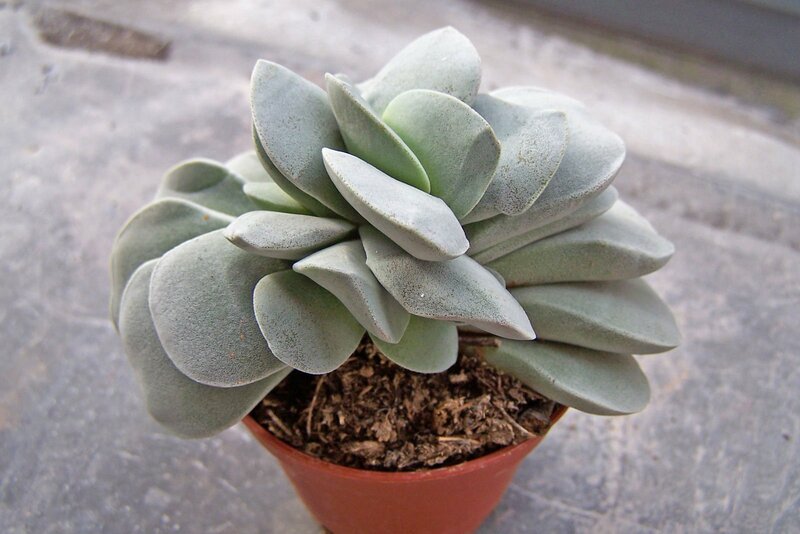 Every 4th to 8th week if Crassula falcata is in active growth. Feed with cacti liquid fertilizer or a standard liquid fertilizer at half strength. 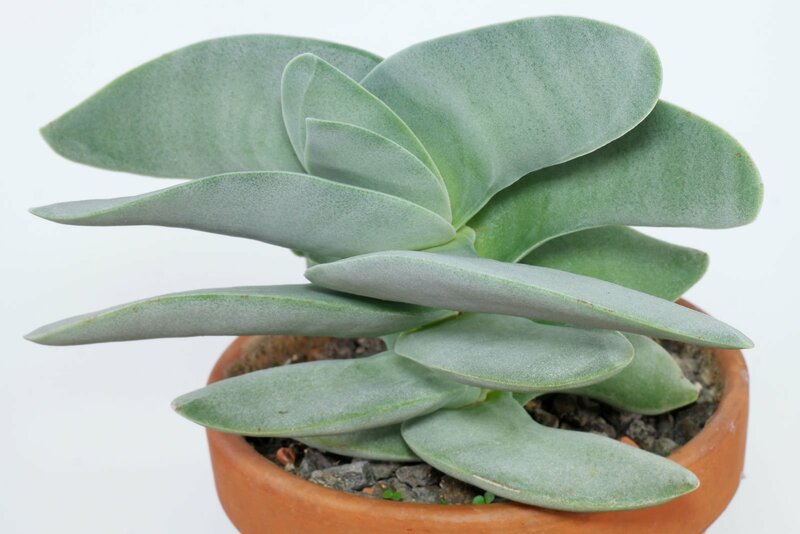 A new bought or recently repotted Propeller Plant don’t need to be fed for the first year. 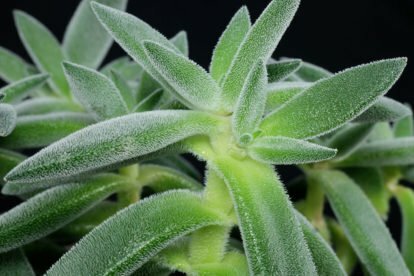 Crassula falcata grows good with a winter rest period at 5 to 10 °C (41 to 50 °F). Minimum temperature is 1 °C (34 °F). 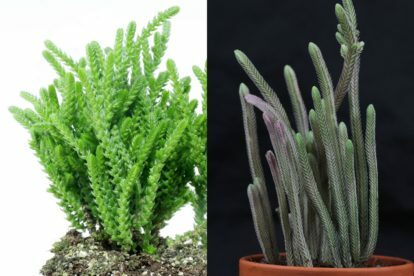 Crassula “Morgan’s Beauty” is a crossing between Crassula falcata × Crassula mesembryanthemopsis and can be cultivated as described above.